Sterling silver star of David with ancient Roman stones. 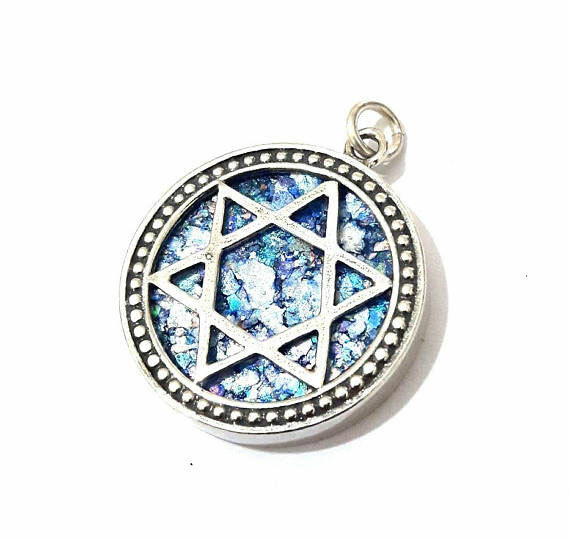 Jewish patriotic designed star of David. set with authentic antique stones found by archaeological diggings throughout the Holy Land. Includes with 16'' sterling silver snake chain.